FROM DALLAS TO FORT WORTH: IN THE SOUTH & HELLO THERE TEXAS LAND! From Dallas To Fort Worth on Scorpio collects two consecutive shows from the original Experience in Texas during the winter of 1968. Scorpio claim these tapes are from the master reels and while we would all love to believe this, one can never be sure. Two audience sources exist for each show although I'm really not sure which sources were used here. However, both nights have been released on silver before. The Dallas show is found on The Biggest Square In The Building from an unknown label and Remember The Alamo, another no label release, features the Fort Worth show. The title from the Dallas show comes from Hendrix referring to his new pointed toed shoes and says "I'm the biggest square in this whole building", a statement he actually makes during both shows. 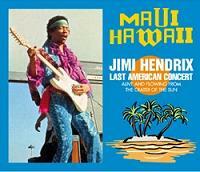 Disc one contains the Dallas show in a fair audience source that is distorted and appears to run very slow. It can become a chore to listen to without correcting the pitch somewhat and I estimate the recording to run at least 5% too slow. It is difficult to pinpoint exactly how far off the speed is by listening to the instruments. Jimi and Noel would often just tune to each other and some nights were tuned down lower than others but a good give away is listening to Hendrix speak between tracks. Surprisingly, after your ears adjust to the sound quality and tape speed, the recording is somewhat enjoyable and even better if you are able to correct the pitch. 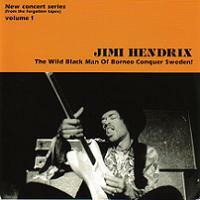 Jimi opens with the first documented live performance of "Are You Experienced" and is more of a compact version considering some of the lengthy renditions that would follow. Parts of the tape, like "The Wind Cries Mary", are less distorted due to the dynamics of the performance and are more enjoyable. "Tax Free" is also the first documented version and has some magnificent guitar work and also contains Mitch Mitchell's drum solo. "Foxy Lady" comes across very powerful and is one of the more heavily distorted tracks on the tape. 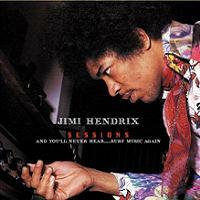 Jimi dedicates "Spanish Castle Magic" to Dallas and explains "it's a place you wouldn't take your grandmother". 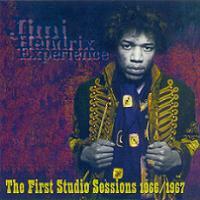 "Red House" is filled with flashes of brilliance and is obviously one of Jimi's personal favorites in the set. The show comes to a close with "Purple Haze" and a typically destructive sounding "Wild Thing". Disc two features the following night at the Will Rogers Auditorium in Fort Worth and also comes from a fair sounding distorted tape source. It is a little better and clearer than the previous nights recording with guitar and vocal dominating the mix again. This tape also runs just as slow if not slower than the Dallas tape with increasing speed problems as the night rolls on. The show was opened by The Soft Machine which Noel Redding confirms later in the set. Jimi opens tonight with a wild arrangement of "Sgt. Pepper" and a rare inclusion of Bob Dylan's "Can You Please Crawl Out Your Window". This track has only been documented six times in a live setting including one that comes from a soundcheck. 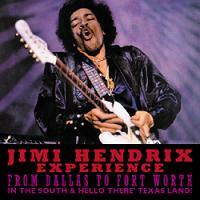 Jimi greets the crowd with "yes indeed, how you all doin' out there in Texasland? ", giving this disc its subtitle. The next change in the set occurs with "Two Trains Running/Catfish Blues", a forerunner for Electric Ladyland's "Voodoo Chile" and is Hendrix in his purest blues form. This also contains Mitch's drum solo and at about this point the tape starts to have some noticeable speed issues. 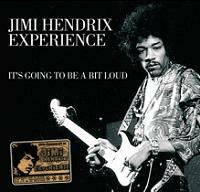 "Foxy Lady" contains brief references to "Outside Woman Blues" as well as "Sunshine Of Your Love". The track suffers heavily from speed fluctuations practically ruining the song and has some cuts near the end. The remainder of the tape continues to be plagued with inconsistent tape speed, at times much worse than others. Mitch jokes with the audience during a technical problem before "Hey Joe", blaming the road crew for sabotaging the gear just to get on stage. Jimi and Noel also converse a bit and Jimi says "good thing we ain't getting paid by applause or we'd be starving" to a very quiet audience. 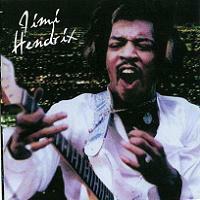 Perhaps the Texans were freaked out by Hendrix's performance? Hendrix tortures his guitar before "Purple Haze" leaving it out of tune for the track while "Wild Thing" is once again the explosive finale. The older titles, The Biggest Square In The Building and Remember The Alamo (neither available for comparison) are difficult to find now so this Scorpio title is a good way for Hendrix collectors to fill in the gaps in their collections but be aware of the tape speed issues. From Dallas To Fort Worth contains two beautiful picture discs packaged in a double slimline jewel case. Despite the below average recordings, Scorpio squeezed everything they could out of these tapes and at the very least still managed to produce an interesting release, it's just too bad the sources weren't speed corrected. I used a slow song, The Wind Cries Mary, to experiment with pitch changes. I increased the pitch a full 10%. It sounds good to my old ears. Can't Scorpio have done this, or does it change the integrity of the source? I increased CD 1 by 10% and CD 2 by 10.5%. On CD 2, the Mitch Rap track offered the speaking voices of all 3 band members for a good reference point. 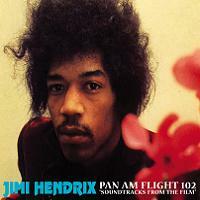 PAN AM FLIGHT 102 "SOUNDTRACKS FROM THE FILM"
THE WILD BLACK MAN OF BORNEO CONQUER SWEDEN! Copyright © 2018 HotWacks.com, All Rights Reserved.